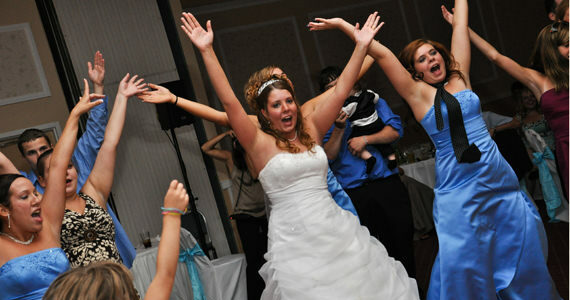 On Saturday August 07th 2010 we were at the Butler Days Inn Conference Center in Butler PA. 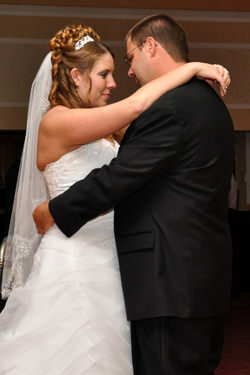 The event was a wedding reception for Patrick and Sarah Grubbs. Patrick and Sarah were married at 3:00 pm at the English Evangelical Lutheran Church in Zelienople PA. Guests began arriving at the Butler Days Inn at 5:00 pm where they enjoyed cocktails and appetizers as the bridal party posed for pictures with professional photographer Bob Mason of Robert Mason Photography. 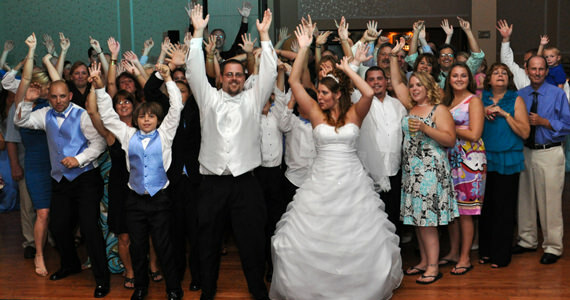 At 5:45 pm we formally introduced the bridal party to “I Gotta Feeling” by Black Eyed Peas. We then introduced Patrick and Sarah to “Happy Together” by The Turtles. After the introductions, Sarah and Pat played the Newlywed Game and then cut their wedding cake to the song “How Sweet It Is (To Be Loved By You)” by James Taylor. A Toast was then given by the best man and brother of the groom, Mr. David Grubbs. Dinner was prepared by the culinary staff at the Butler Days Inn Conference Center and was served buffet style. After dinner we invited the newlyweds to share in their first dance together as husband and wife to “Everything I Do (I Do It For You)” by Bryan Adams. Sarah and Pat then danced with the bridal party to “Hallelujah” by Rufus Wainwright. Next, Pat requested a special dance with his mother, Mrs. Patricia Grubbs, to “What A Wonderful World” by Louis Armstrong. 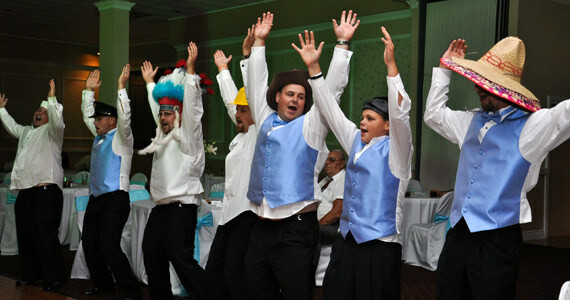 Throughout the remainder of the evening, guests danced to music by Bon Jovi, Usher, Timbaland, Katy Perry and more. At 10:00 pm we invited all of the guests to share in the last dance of the evening to “Wonderful Tonight” by Eric Clapton.